Wild caught Alaskan Sockeye Salmon is in season and our local grocery store had a sale. I purchased two large deep red filets on impulse and then realized I had a problem as our son isn’t very fond of seafood. I suddenly remembered a marinade I had used in the past with great success. I served the salmon with a watercress and baby arugula salad, over which I sprinkled some slices of sun-dried tomatoes, a couple of roasted peppers, a few sliced tomatoes and sliced onions I had previously marinated in olive oil and salt. I also served corn on the cob with a pat of salted butter. It worked! My son had three servings of salmon and declared it was one of the best dinners I had ever cooked. This is a very easy recipe but it does take some advance planning so that you have time to marinade the salmon for at least an hour. It can be marinated longer if you wish, but I find it you marinade it for over two hours the salmon is too sweet. Mix all ingredients in a glass rectangular pan. Place the salmon in the sauce. 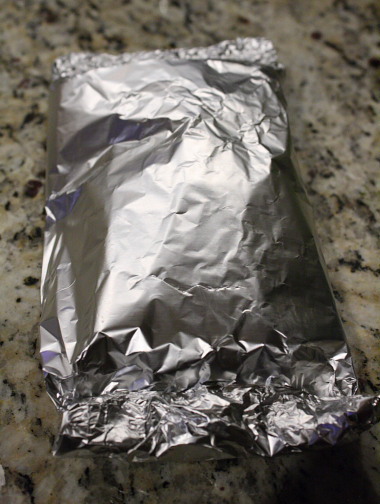 Cover with a piece of plastic wrap and place in the refrigerator for ½ hour. Remove and turn the salmon over. Cover again and return to the refrigerator for ½ hour. Heat the grill. Wrap the salmon in foil paper and place the packets on the grill. Cook for 10 minutes and use a fork to open up the salmon to check it for doneness. Serve immediately while still hot. This entry was posted in Bob Wilson Photos, Recipes and tagged barbequed salmon, easy recipe, grilled salmon, recipe, recipe for, summer recipe, teriyaki salmon. Bookmark the permalink.